My name is Sam Kusek and I’m living my life in panels. What does this mean? That I have been an avid comics reader/collecter for over a decade. 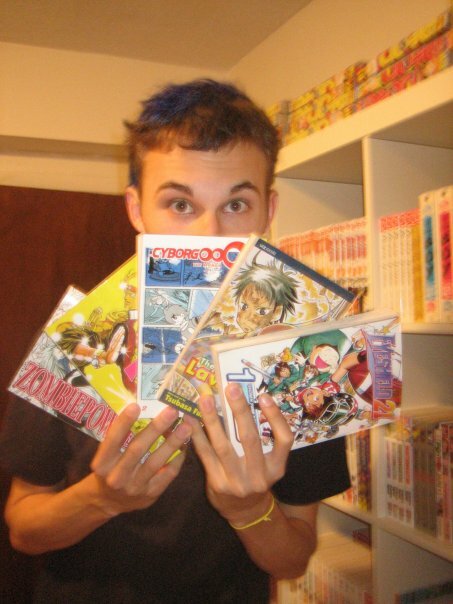 Up until recently, I wrote for Popcultureshock’s Manga Recon, which propelled me into a community of intensely intelligent manga/comics readers, writers, artists and industry people I had no idea existed. This blog is my means of getting back into that community by exploring not only my love for Manga but American superhero comics, Independent/Local comics, how comics have imbued themselves into our culture & lifestyles and ultimately who/what those cultures are. I hope to better understand our content and our community with this blog.